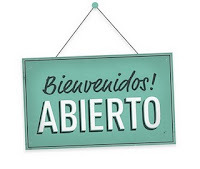 AURORA LONGO Ltd Spanish Language Cross Cultural e-learning intercultural Online Training: Welcome, Bienvenidos! Aurora Longo is pleased to announce the launch of a new BLOG and a new service, SPANISH LESSON ON-LINE VIA SKYPE VIDEO-CONFERENCING. 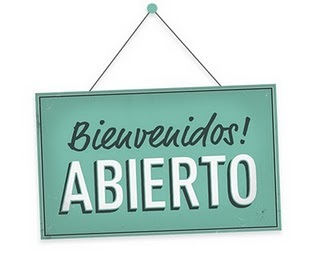 You can now take Spanish lessons from the convenience and comfort of your office or own home and keep in touch and share your interest in all thing Spanish at the same time. We will bring you news and current affairs to keep you up to date, articles on culture and the arts, features on travel and food as well as regular language tips ... and lots more. SPANISH is the official language in 21 countries and ranks as the third most spoken language worldwide, with 329 million native speakers, after Chinese and English. WE AIM TO BE A VIBRANT FORUM FOR PEOPLE INTERESTED IN SPANISH LANGUAGE AND CULTURE, AND YOUR CONTRIBUTION IS IMPORTANT TO US. So feel free to comment and share your own interests and experiences. The blog languages are English and Spanish. WHY NOT SIGN UP NOW FOR SOME SKYPE LESSONS IN THE 'ON-LINE' SECTION OR START PARTICIPATING IN THE BLOG BY ADDING A COMMENT BELOW AND FOLLOWING US.